Even though it's still chilly and/or cold where many of you live we are beginning to see warmer temps causing my thoughts to turn to Spring this week. 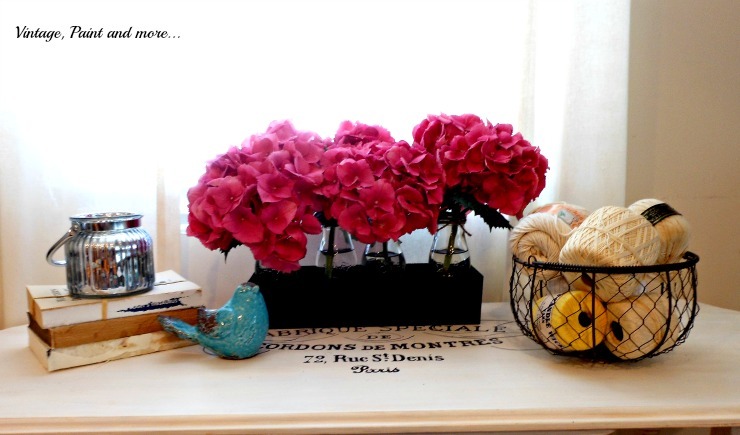 And with those thoughts I love to freshen up our decor by adding a few bright flowers in new ways. 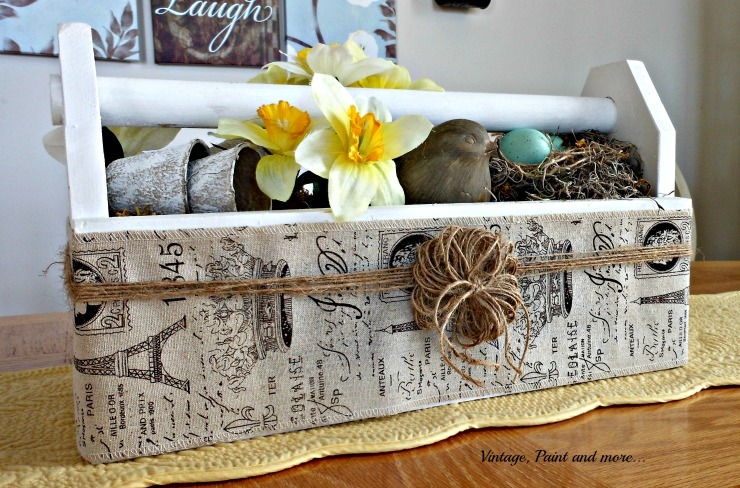 So today I am going to show you this little centerpiece I made from a thrifted wooden graphic French box I found and some milk jars I purchased at the Target dollar spot - love that place. It's so bright and cheerful and has that added vintage feel that I love. 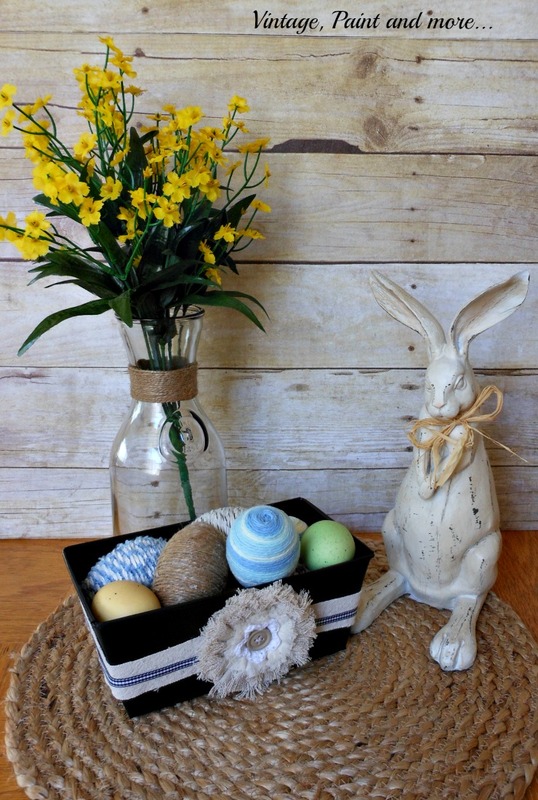 It also brings just a bit of Spring into our home in a very simple way. It was quite easy to make and put together as I will show you. 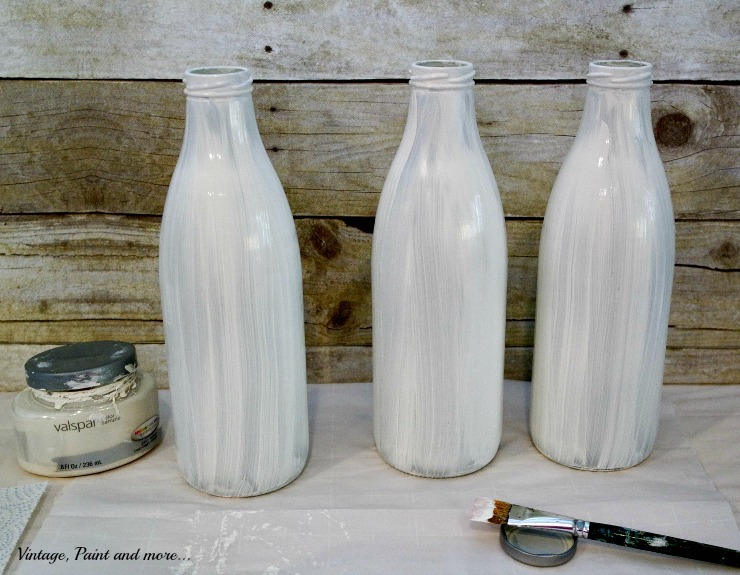 First I started with three milk jars I picked up at the Target Dollar Spot some time back. I simply painted them with Valspar's Cream Delight. A very nice not too bright white I have been using a lot. This is after the first coat of paint and it took two to get the coverage I was looking for. 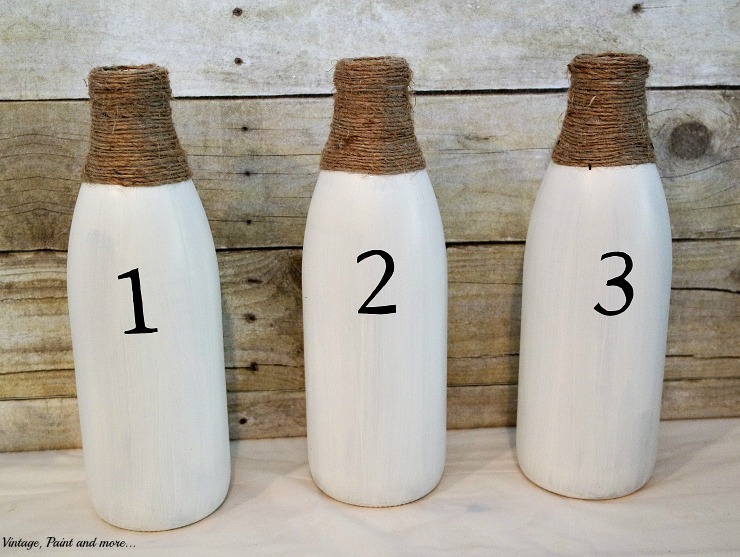 After it was totally dry I stenciled each bottle with a number. 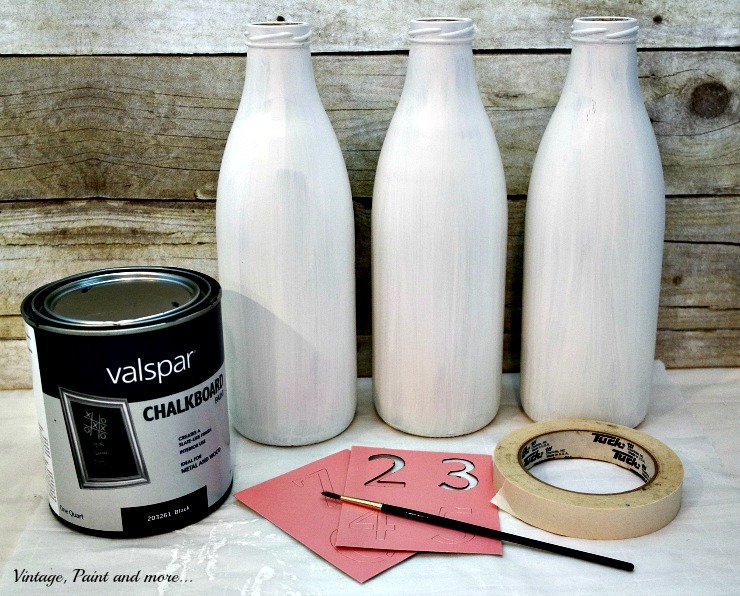 I used some inexpensive stencils I found at Wal-Mart and Valspar's Black Chalkboard paint. My favorite black paint right now. 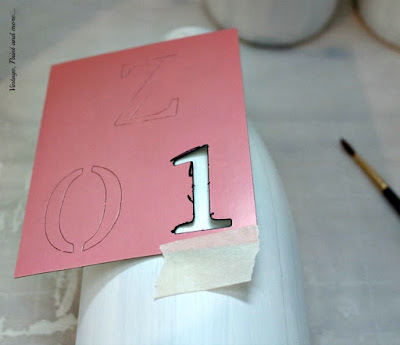 Now I find it somewhat difficult to stencil on bottles and jars so I usually tape the stencil in place and trace it with a pencil. 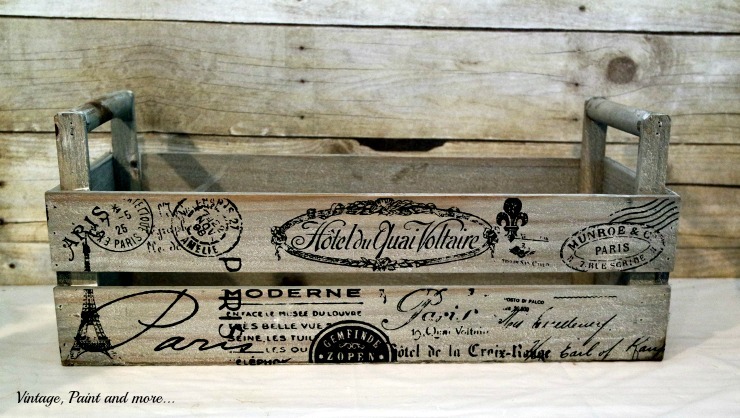 Then I use a fine liner paint brush and paint it in without the stencil. You do not have to do it this way it is just so much easier for me to do. 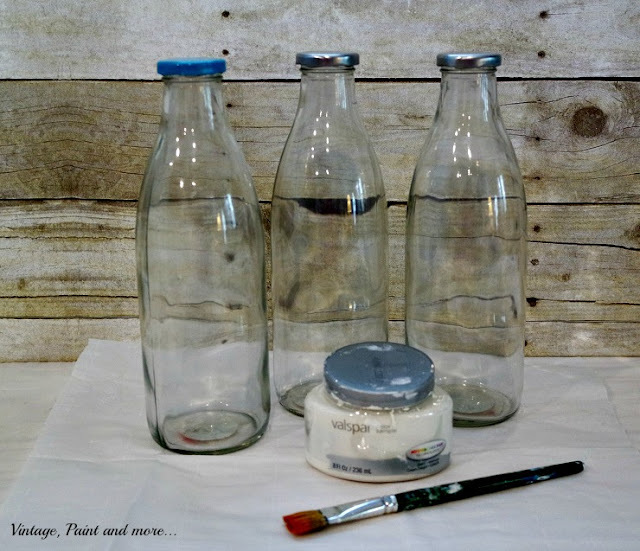 After the stencils had dried I wrapped the top area of each bottle with some twine. You can do as much or as little as you desire. I chose to do the neck area only. This is the French graphic wooden box I found at the Salvation Army. I knew it had to come home with me the minute I spied it. It's French, it has graphics and it's has a vintage feel with a perfect finish. What's not to love. 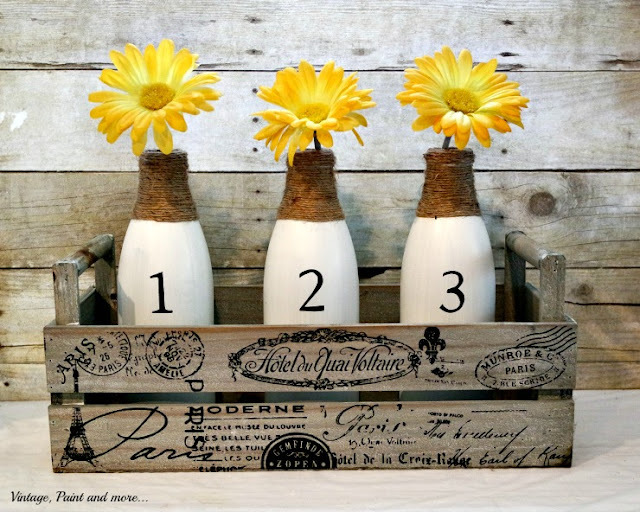 I placed the three milk jars in the box and then one lone faux yellow daisy in each jar. Very simple, very easy and adds just the right amount of Spring to our home. Makes me smile each time I pass it. So bright and cheerful with that perfect vintage feel that I love. Makes those dreary cold days yet to come just a little brighter. Are you in the Spring mode yet? Are you starting to add a bit of Spring to your home or are you waiting a bit longer? Tell me all about it in the comments below. Until next time enjoy creating something you love. 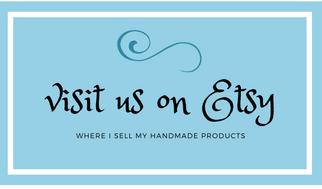 I will be linking up to the parties listed on the Where I Party page. 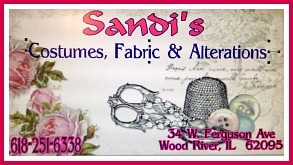 Please go by and visit them - you will find so much great creativeness there. So adorable, Cathy! You really made a lovely spring centerpiece.I love looking through the Target bins - so many wonderful items to craft with. I'm in the process of making some faux crocuses for spring. The real ones don't last long - one of the first signs of spring - and in purple hues, too! Thank you so much Gail. I love those Target bins - next best thing to the dollar store. Can't wait to see your crocuses - I know they will be amazing. I love your graphic French box. 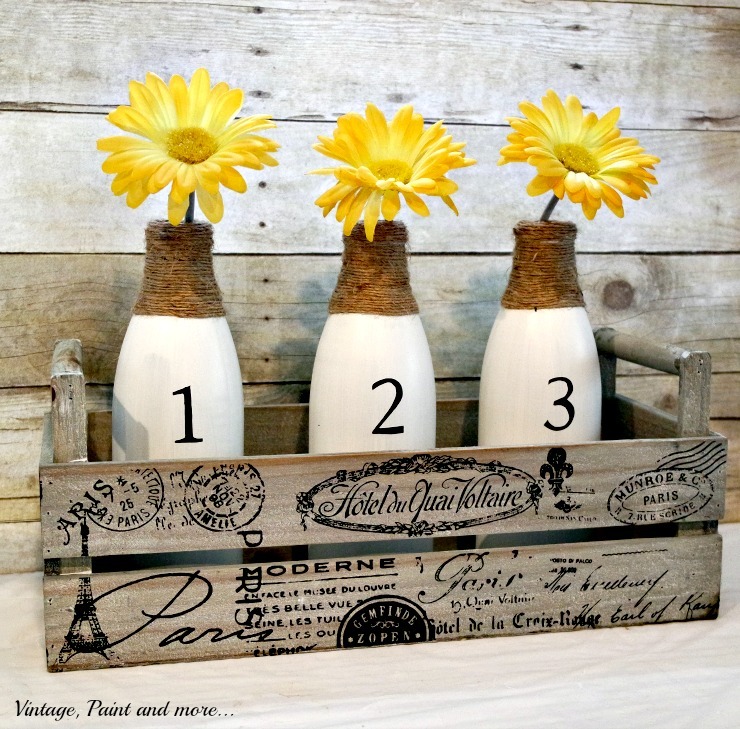 The milk bottles look great in it, and with the yellow flowers it does speak spring. Thank you Linda. I didn't have to think twice about picking up this box when I saw it - it was definitely love at first sight. Thank you so much Laurie and thank you for hosting your weekly party. Very Very cute! I have a long basket that i've been meaning to find something to put in it for my table. This is a great idea! Thank you. I think a basket with painted bottles would be so cute. Can't wait to see what you come up with. Hello! 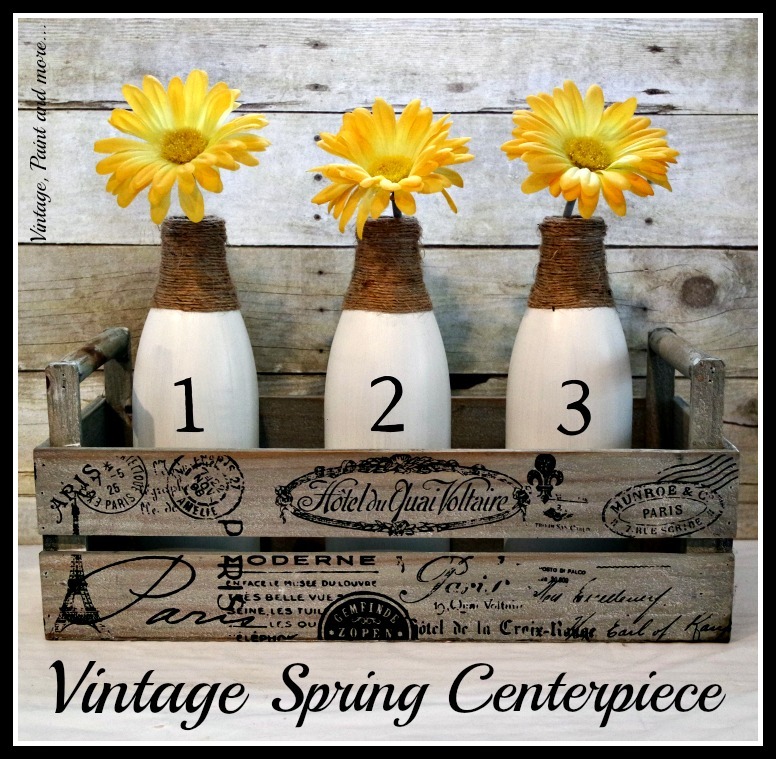 That's a very pretty and creative Spring centerpiece. Thanks for the inspiration. Thank you so much Vashti. So glad you like it. Oh, after seeing your project, I think I need to paint some of my bottles. Thanks for the inspiration and for sharing at SYC. Thank you Carol. 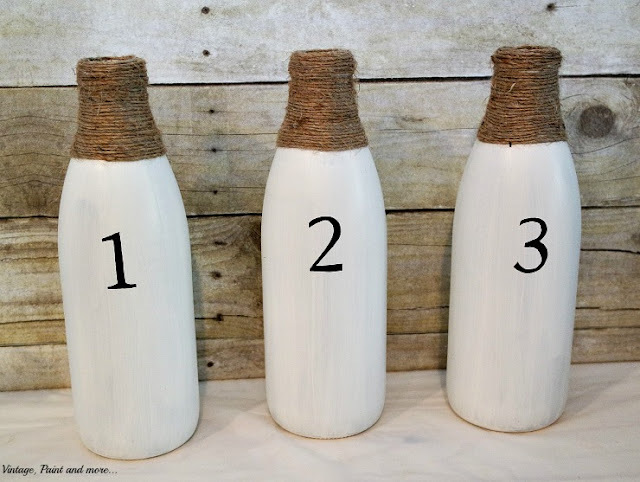 Can't wait to see how you do your bottles - you are so creative. Thank you Cara. I thought this box screamed vintage when I saw it - so it had to come home with me. This is precious! So simple and cheerful! Thanks so much for sharing at Dishing It & Digging It! Thank you so much Lori. I love simple and this definitely falls in that category. Thanks for hosting each week. Super cute bottle upcycle, love that box too! I would of scooped that one up too. Thanks for linking up to Merry Monday! Sharing on Twitter! Have a great week! I love your pretty spring centerpiece! Thanks for joining and sharing this Cathy at our Cooking and Crafting with J & J. Enjoy the week and we hope to see you again. Cathy, this is so pretty and is perfect for spring time! Thanks for sharing at Snickerdoodle Sunday. I'll be featuring this at tomorrow's party. Wow i love what you did! Your bottles, and box are fabulous. You did such a great job.